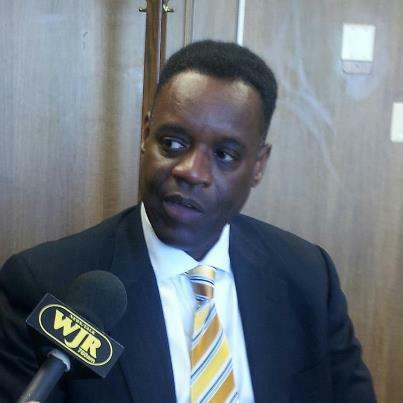 Detroit emergency manager Kevyn Orr is spending a couple of days in Lansing for closed-door meetings with state officials. 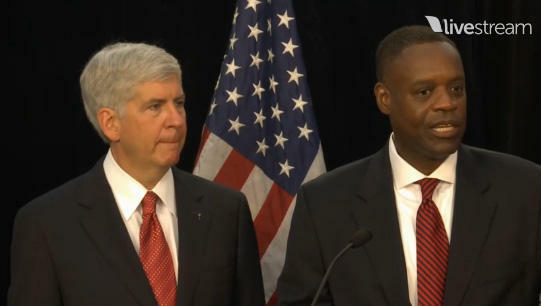 His primary mission is to convince reluctant state lawmakers to support the Detroit bailout package. Gov. Snyder and Detroit emergency manager Kevyn Orr need to convince reluctant Republican lawmakers to send $350 million to Detroit. The state’s share, which would have to be approved by the Legislature, is $350 million dollars. That would help mitigate cuts to pension benefits as part of the city’s bankruptcy, and ensure the assets of the Detroit Institute of Arts are safe from the auction block. The governor has not been part of the meetings, but is letting Orr use his Capitol office to make his case to lawmakers. The two are expected to get together tomorrow. Kevyn Orr says he’s optimistic all the pieces will eventually come together to get the largest municipal bankruptcy in U.S. history wrapped up by this fall. But he’s facing plenty of skepticism in Lansing, especially from Republicans. Republican state House Speaker Jase Bolger says he still has to be sold on the deal before he’ll call for a vote. “We have to make sure this is a one-time investment that secures long-term success for the people of Detroit and the people of the state of Michigan,” Bolger said following a meeting with Orr. Bolger says he’s sticking with his demand that the city’s employee unions also pull money from their bank accounts as part of the bargain. The unions say their members have already made concessions as part of the bankruptcy process. Detroit Emergency Manager Kevyn Orr is in Lansing today and tomorrow, getting face-time with the lawmakers whose vote is crucial to the so-called grand bargain, the complicated deal to protect city retirees and the collection at the Detroit Institute of Arts. Orr heads to Lansing with a new piece of the puzzle in hand: a tentative five-year deal reached Monday with AFSCME, Detroit's largest employee union. Detroit News reporter Chad Livengood joined us today to give us an idea of what progress has been made and what lies ahead for the city.